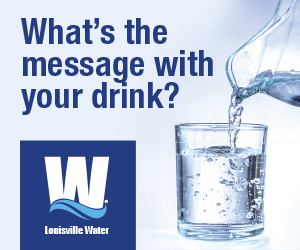 LOUISVILLE, Ky. — Winners have been announced for the 2019 Awards in the Arts, presented by Kindred Healthcare and Joy Mangano. The awards ceremony, hosted by The Fund for the Arts, Churchill Downs and the Lawrence Family Foundation, annually celebrates Greater Louisville’s vibrant arts and culture scene by honoring passionate artists and organizations—some well-known, some rising stars—for their role in advancing our city’s arts community. The awards were created to recognize artists from a variety of creative disciplines—which over the years have included performing, theatre, music, visual arts, dance and more. This year’s individual artist and organization awards include the National Awards in the Arts, Arts Impact Award, Arts Innovation Award, Arts Education Award, Emerging Leader in the Arts Award and Lifetime Achievement in the Arts Award. This award honors an artist with outstanding achievement in Louisville and on a national scale—Bryson Tiller. The 26-year-old singer/songwriter/hip-hop artist emerged from the streets of Louisville with his own brand of street soul that musically blends the urgency of trap music with the smoother sound of alternative R&B. Reared on the slow jams of 112, Dru Hill, Chris Brown and Omarion, Tiller realized his talent as a teen, serenading his female classmates and eventually creating his first recordings at a friend’s makeshift studio. In October 2014, Tiller released his biggest track to date, a self-reflective slow burner entitled, “Don’t,” which garnered an impressive 63-million-plus listens on SoundCloud and a direct message on Twitter from Drake, one of Tiller’s biggest musical influences. Self-recorded and mixed in his modest Louisville living room studio, the online success of “Don’t” came as a surprise to the young artist and indirectly confirmed his life goal: make music that resonates. 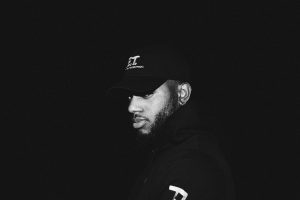 Tiller’s debut T R A P S O U L LP was released in October 2015, and his single “Exchange” earned a Grammy nomination for Best R&B song. Tiller has also won BET Awards for Best New Artist and Best Male R&B/Pop Artist. This award recognizes an artist with outstanding achievement in Louisville and on a national scale—Jim James. 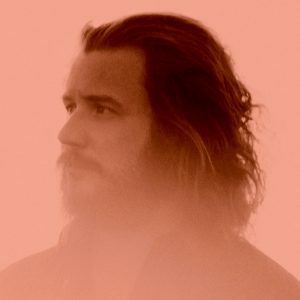 James has spent the better part of almost two decades as the lead singer, songwriter and multi-instrumentalist of My Morning Jacket which, through seven studio albums, has grown into one of the most acclaimed rock and roll bands in the world. In 2013, James wrote, produced and released his debut solo record, Regions of Light and Sound of God, in which he plays most of the instruments. In 2016, he released the solo record, Eternally Even, which led him to embark on a national tour with appearances on “The Tonight Show” and “The Late Late Show with James Corden,” along with a debut at #1 on Billboard’s Alternative chart. James recently released his third solo album, Uniform Distortion, and has continued lending his voice to albums by the likes of The Roots, David Lynch and Brandi Carlile. In Fall 2018, he embarked on a solo, career-spanning tour in historic theatres and performing arts centers across the nation. This award honors an organization that has demonstrated a significant impact in the Louisville community through the arts—Commonwealth Theatre Center (CTC). Home to the Walden Theatre Conservatory and Blue Apple Outreach, the CTC is the region’s most comprehensive theater training and arts education organization, serving 50,000-plus youth and 5,000-plus adults each year. The Walden Theatre Conservatory challenges young people through a rigorous, nationally-recognized pre-professional program that provides a foundation for a career in the arts while imparting valuable life skills and lifetime friendships. In addition to extracurricular programs and camps throughout the school year and summer, students take the stage in a full season of professionally produced shows. Meanwhile, Blue Apple Outreach, built on more than 40 years of innovation and excellence, delivers theatre practices and experiences to schools and community partners year-round. Touring shows bring classic stories to life for our region’s schoolchildren, and interdisciplinary workshop and residency programs enrich math, science, social studies, language arts and life skills curricula for early childhood through high school. Altogether, the CTC services 243 schools and community centers across 63 zip codes and 17 counties in Kentucky and Indiana. This award is presented to someone who is fueling innovative work in the arts—Kim Baker. Baker is a strong and dynamic leader in the arts community, with extensive experience in the areas of arts administration and theatre management, communications, programming and development. She became president and CEO of The Kentucky Center in 2014. Since then, Kim’s passion for bringing extraordinary arts experiences and opportunities to our region can be seen in her leadership and commitment, specifically through The Kentucky Center’s recent investment in the new Old Forester’s Paristown Hall performance venue. Never one to settle for anything less than extraordinary, she is again challenging The Kentucky Center to take the lead nationally in areas of access, inclusion, and new audience development. In addition to her work at The Kentucky Center, Kim has held leadership positions with a variety of theaters and performing arts venues including the Singletary Center for the Arts, Iroquois Amphitheater, and the W. L. Lyons Brown Theatre. Her lifelong passion for the arts was ignited when she was a teenager by her participation as a student in the very first class of The Kentucky Center’s Governor’s School for the Arts. She received her Bachelor of Arts degree from the University of Kentucky’s College of Fine Arts in Arts Administration, and often returns as a guest lecturer for the program. This award recognizes an organization that educates and inspires Louisville’s children through arts access and engagement—The Louisville Youth Orchestra (LYO). The 2018-2019 season marks the 60th year for the LYO which began in Fall 1958 as an outgrowth of a six-week summer orchestral program sponsored by the Louisville Academy of Music. Today, the orchestra has over 350 members and draws students from 17 counties in the Kentuckiana region, offering a variety of skill-level based ensembles. Recently the LYO participated in the New Music for America project and presented a commissioned work by Christopher Theofanidis during a three day residency, collaborated with the New York-based ensemble Project Trio and appeared for the second time on NPR’s From The Top. The LYO regularly collaborates with other arts organizations and will present programs with the Louisville Ballet Academy and Master Chorale during this anniversary season. This award celebrates an artist who has excelled early in their career—Brandon Ragland. Born and raised in Birmingham, Alabama, Ragland received his early training from Jacqueline Crenshaw Lockhart and continued his dance training at the Alabama School of Fine Arts. In 2007, he graduated from Butler University with a Bachelor of Science in Dance-Arts Administration. Since joining the Louisville Ballet in 2010, he has had the opportunity to perform leading roles in classical and neoclassical works such as “The Three Musketeers”, “The Brown-Forman Nutcracker”, “Lady of the Camellias” and more. Before joining Louisville Ballet, Ragland spent three seasons with the Alabama Ballet, where he performed works by George Balanchine, Roger Van Fleteren, Christopher Bruce and others. As an aspiring choreographer, he has created works for Louisville Ballet, Louisville Ballet Youth Ensemble, Alabama Ballet and others. This award recognizes an artist who has demonstrated lifetime achievement in the arts in Greater Louisville—Ruth French. A Louisville native, French’s musical studies began at the age of five. At the age of 17, she auditioned for and was accepted by the Louisville Orchestra. Meanwhile, French studied with Ivan Galamian in New York at the Meadowmount School where she began the first of six years commuting to study violin with Henry Meyer at the Cincinnati College Conservatory of Music. Her teaching career began when she joined the faculty of the newly founded Louisville Academy of Music, started by her husband Robert French, who would also later found the AITA award-winning Louisville Youth Orchestra. After her husband’s death in 2011, she was elected the next president of the Louisville Academy of Music which she operated for the next eight years. Awards presented to Ruth include the “Tower Award for Women Leaders” and election to the Hall of Fame by her alma mater, Presentation Academy. In 2018, she won the “Spirit of Crescent Hill” award. On June 1, 2018, French retired at the age of 87. Winning artists were nominated by their colleagues and selected by the previous award recipients. Each award winner will take home a statue created by a local artist David Nichols and a $5,000 cash grant from Fund for the Arts. The awards will be presented at Churchill Downs on April 27, 2019.